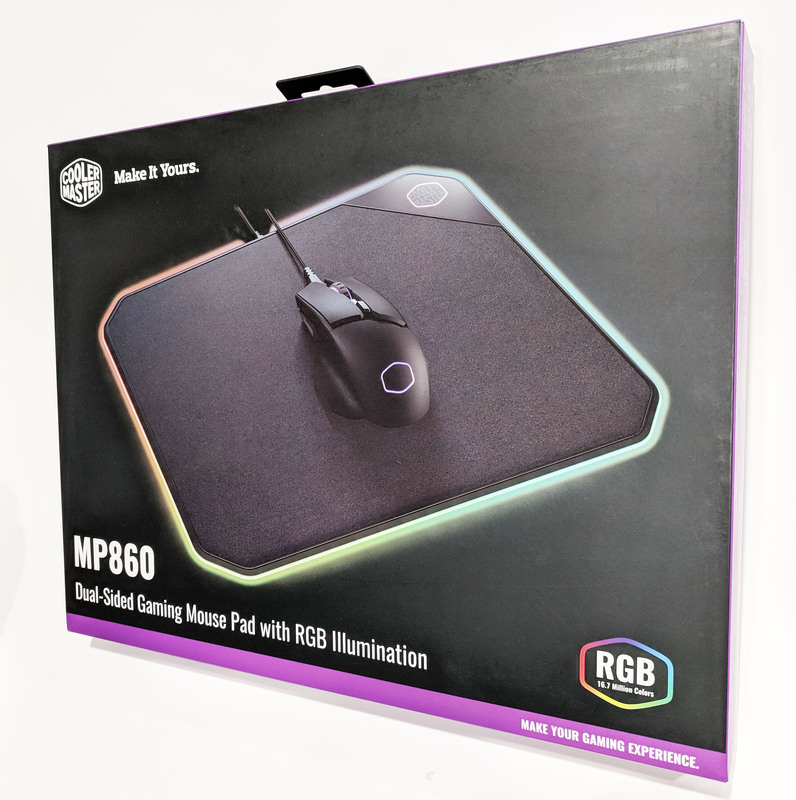 Our last mouse pad we reviewed featured the Cooler Master MP510, however this time around we’re featuring one with a bit more dakka. 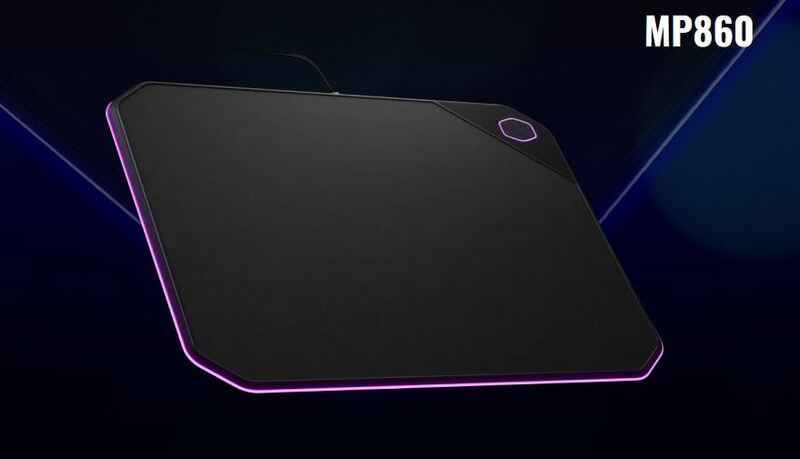 Today Cooler Master launched its new RGB LED enabled gaming themed mouse pad to add to its MasterAccessory lineup of peripherals. 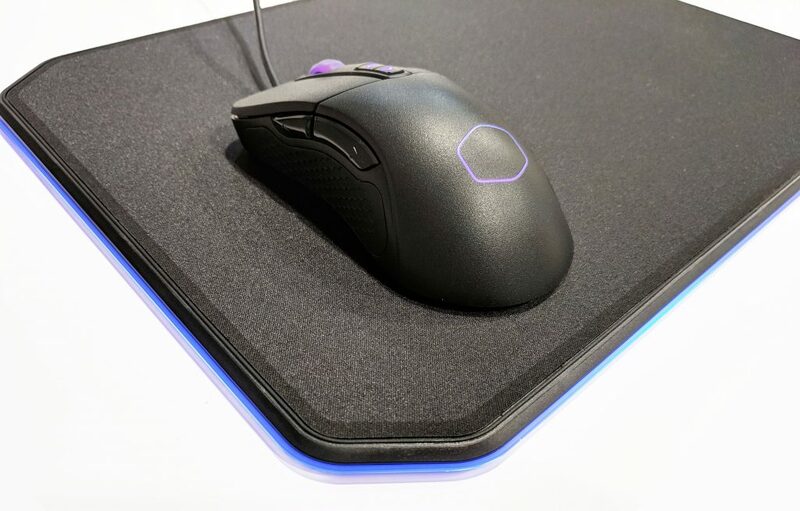 The Cooler Master MP860 is a dual sided/textured gaming mouse pad that features a ring of 19 soft glowing RGB LEDs around the perimeter, a braided cable, and full software support. 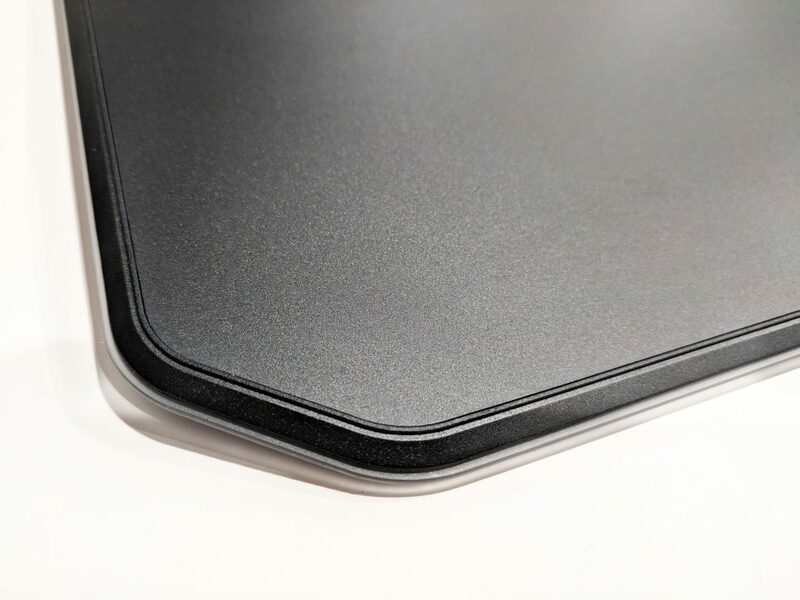 One side of the mouse pad consists of a soft textured cloth while the reverse side is constructed from a a semi-smooth piece of aluminum. 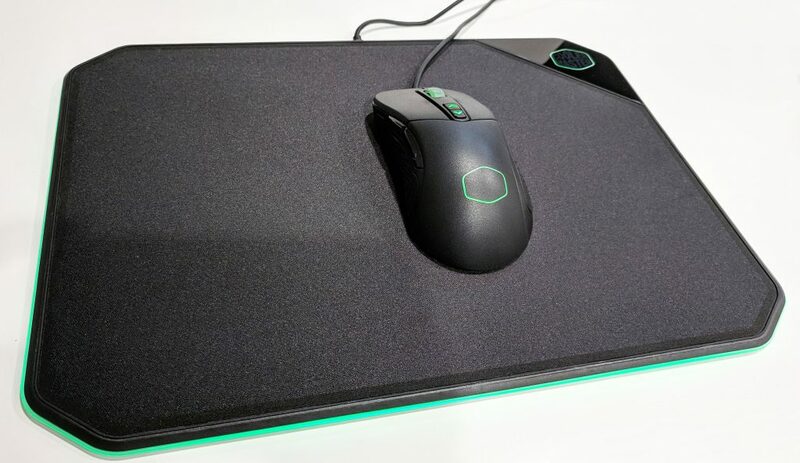 Its size should satisfy almost any gamer measuring in at 360mm x 260mm x 10mm thick putting the mouse pad in the medium to large size category. 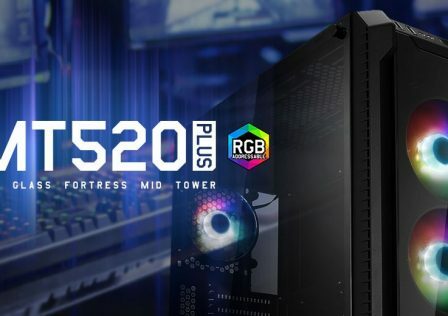 The MP860 also features full software support which is available in the Cooler Master Portal or at Cooler Master’s product page. 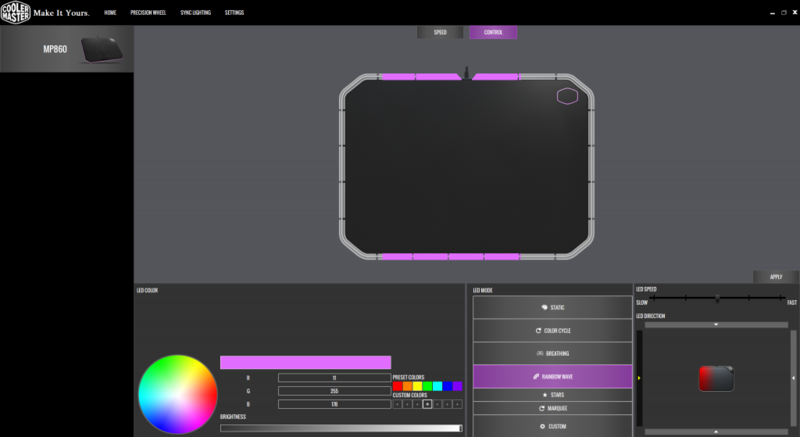 This allows the user to customize the RGB LEDs around the mouse pad as well as the CM logo on the top right corner of the soft material side. 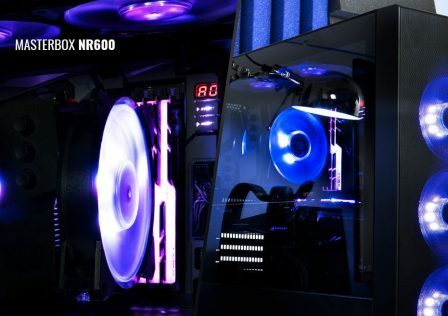 Users will also be able to sync the lights with other Cooler Master accessories such as mice and keyboards that are also RGB enabled such as the new Cooler Master CK550 mechanical keyboard or the new Cooler Master MM530 Gaming mouse. 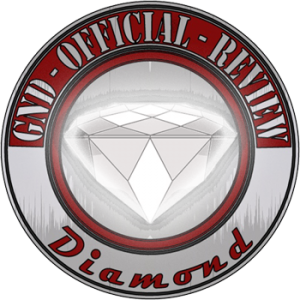 Now that we’ve got a better idea of what we’re working with, lets dig into the review! The Cooler Master MP860 arrived in perfect condition in a slim cardboard box. 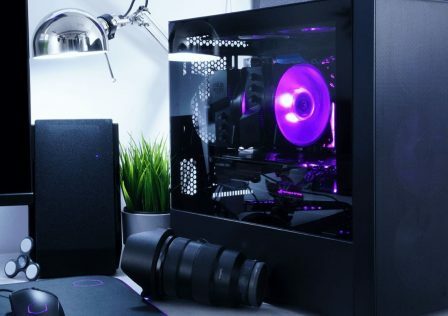 The box itself features Cooler Master’s new black and purple color scheme with logos and product designs on the front and back. 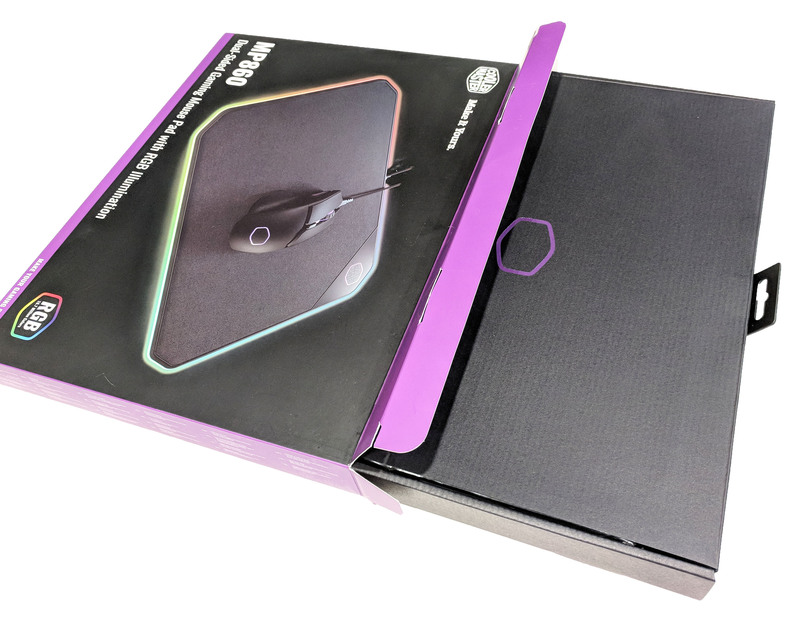 The back of the box highlighted the mouse pad’s dual surface feature, and gave other important specs such as it’s software controlled RGB LED technology and the ability to sync the LEDs to other Cooler Master products. Upon cracking the seal, we can see a secondary box slid inside the first. 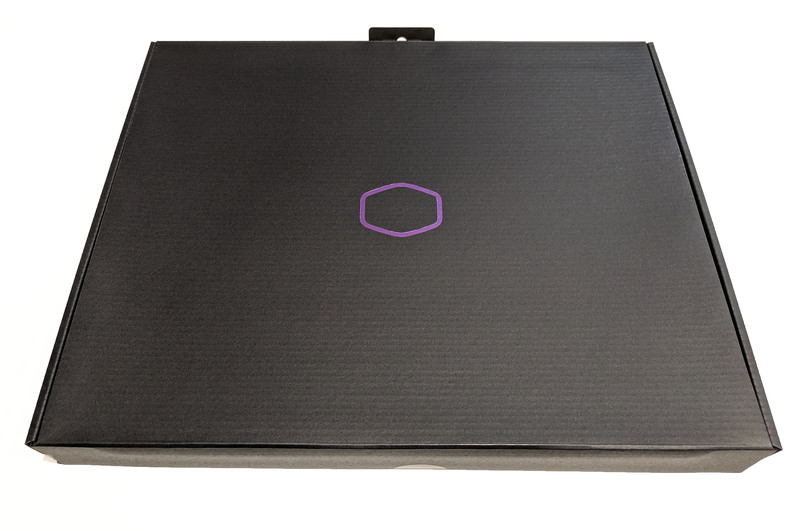 The secondary box is black and features the Cooler Master logo on the center. Pretty cool and definitely gives off a premium feel to the packaging. 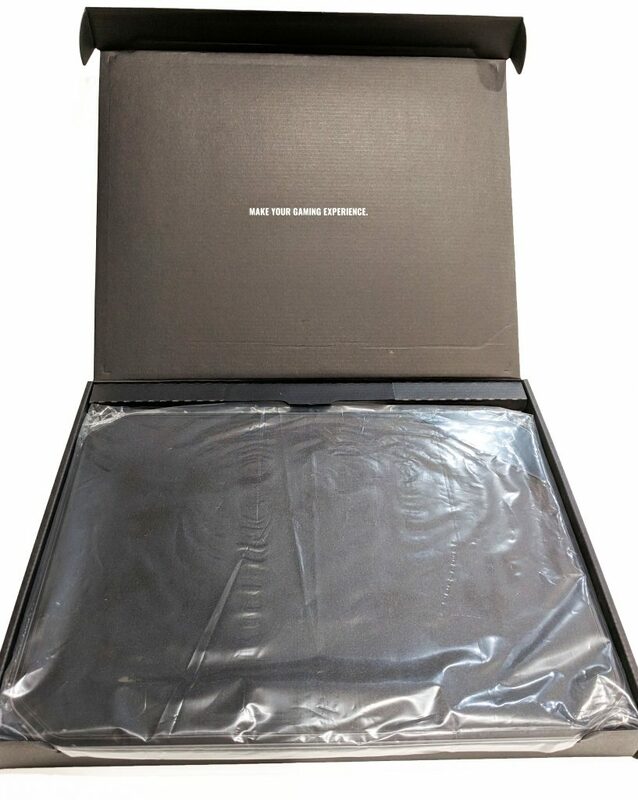 Opening the black inner box, we get a better view of the packaging. The top inside of the box features the text “MAKE YOUR GAMING EXPERIENCE”. 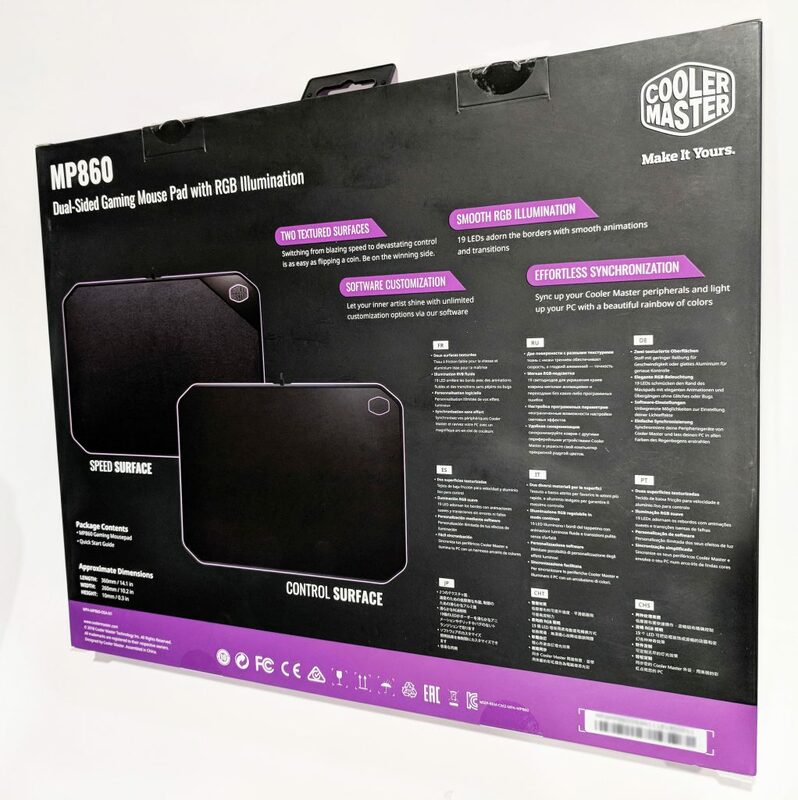 The Cooler Master MasterAccessory MP860 rests on top contained inside a loose plastic bag to prevent scuffing during shipping and handling. Once removed from the plastic sleeve, the first and most compulsive item up for business needs to be addressed first: remove the plastic peeley things. (insert feelsgood.jpg). 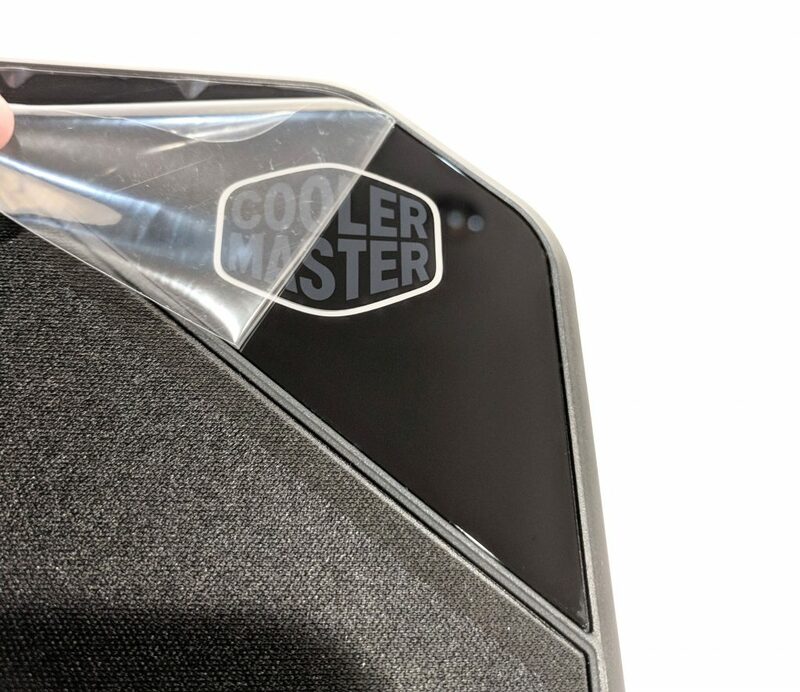 The cloth side of the mouse pad features the Cooler Master logo. 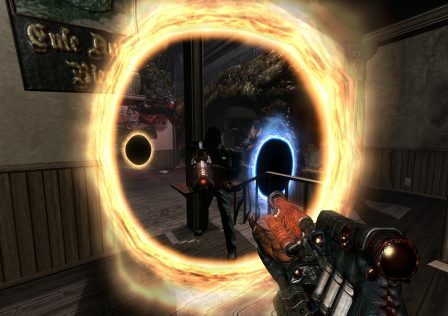 When plugged in, the ring around the logo glows to whatever specified color or effect specified in the software. 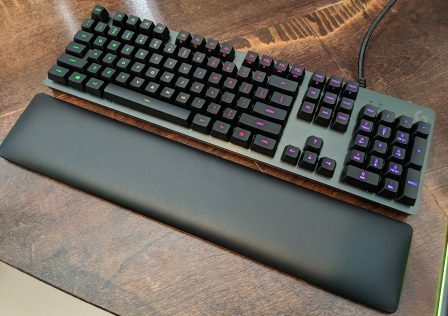 The reverse, aluminum side does not feature a light up logo, but does have the Cooler Master purple ring on the top right corner. 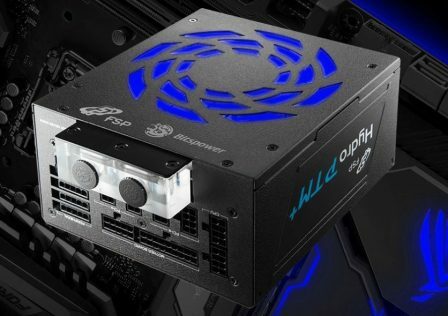 Here we have the Cooler Master MasterAccessory MP860 layed out. The overall size is perfect in my opinion (46 x 39.5x33cm). Asside from its appearance, the first thing I noticed was it’s weight and how stiff it felt. After handling it for a few minutes, there was absolutely no flex at all. Overall it felt quite solid which gave off an impression of high quality. Much of this is likely due to the reverse aluminum surface which adds a lot of metal to the entire reverse surface. The braided cable is another nice touch. It adds a few points to the overall quality factor of the mouse pad. The image below shows the cloth side. The cloth is smooth to the touch and quite soft in general. Flipping the image over reveals the aluminum finished side. The aluminum finish is textured, yet smooth. 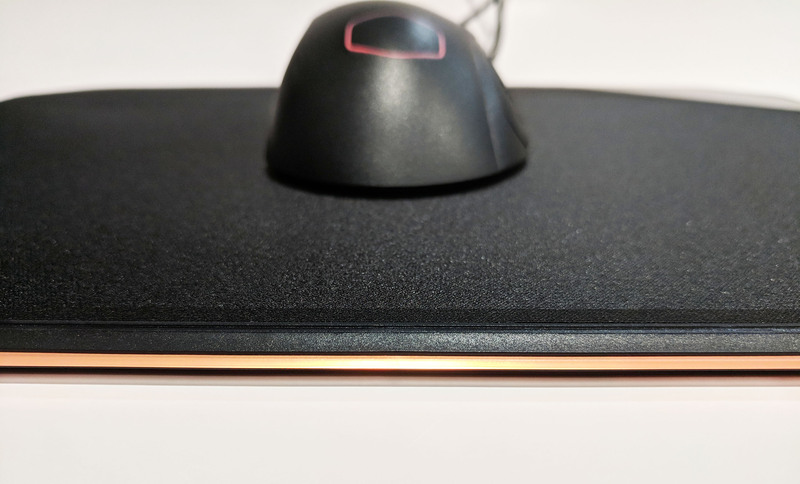 When gliding a mouse over the surface, the mouse slid easily with mild resistance though probably slightly more added resistance over the cloth side. 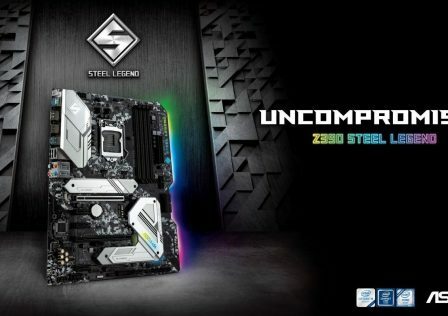 After trying out both sides for a few hours of gaming each, I preferred the aluminum side, but ultimately this will come down to the preference of the individual user. Here you can see the texture differences between the cloth (top) and aluminum (bottom) finishes. Regardless of the mouse pad’s orientation, the perimeter LEDs will be visible. 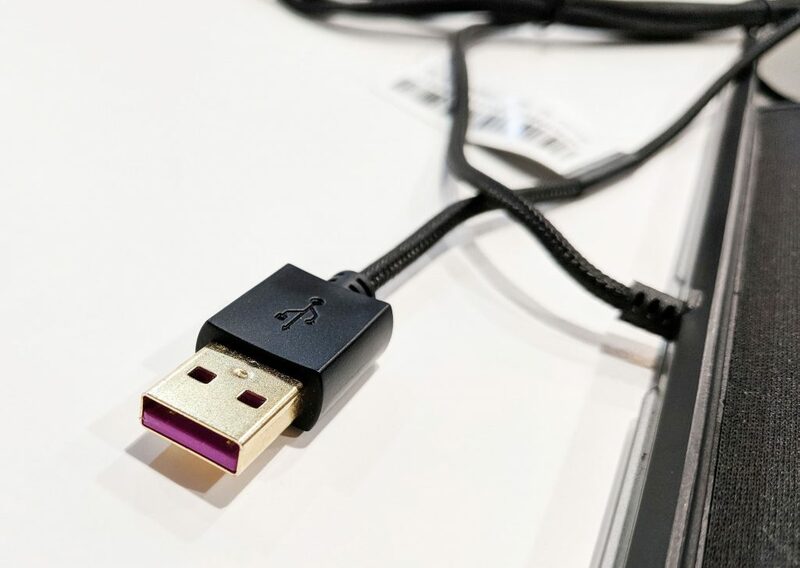 As mentioned earlier, the USB 2.0 cable is braided to add increased durability to the overall construction of the MasterAccessory MP860 mouse pad. The cable feels very loose and users will not have a hard time routing it as it seemed to recover quickly from “cable memory”. The USB 2.0 end is overall pretty standard, other than the trademark purple insert that we’ve seen on other Cooler Master products. 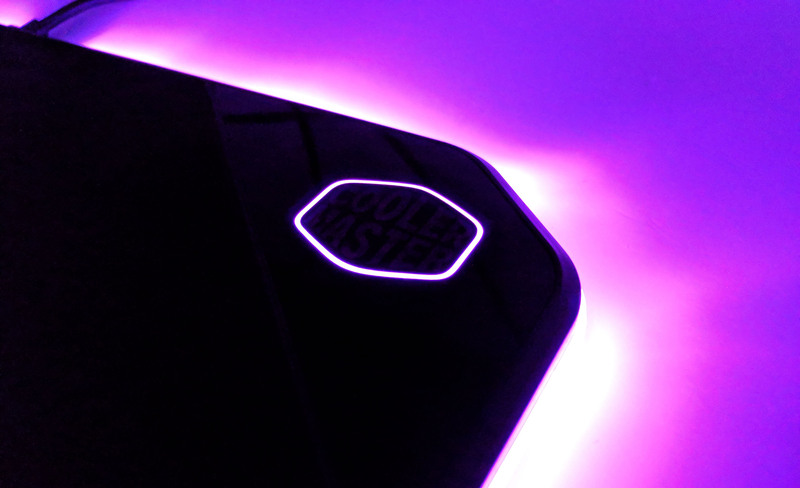 Now let’s get to the LED lighting, probably one of the most highlight-able features of the Cooler Master MP860! In areas that are very well lit, the LED lights can be easily seen. It almost adds a cool accent lighting effect to the overall mousepad. Here we can see this effect with a Cooler Master MM531 gaming mouse. However, when the lights are low or off, the effect is MUCH more pronounced and pretty much lights up the scene! 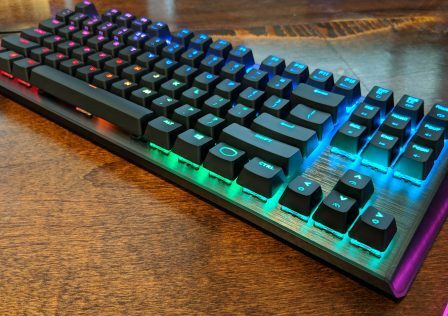 The LEDs are overall very smooth and definitely add a whole new lighting dimension to any gaming themed desk. 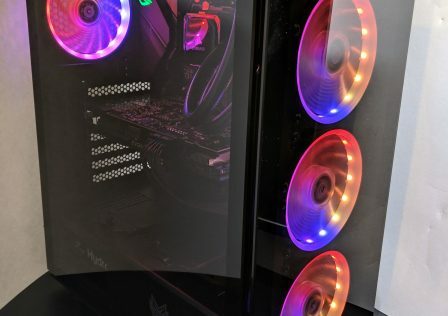 The default action of the MP860 is to cycle colors, however this can be changed in the Cooler Master Software. Custom – User defined in the software. 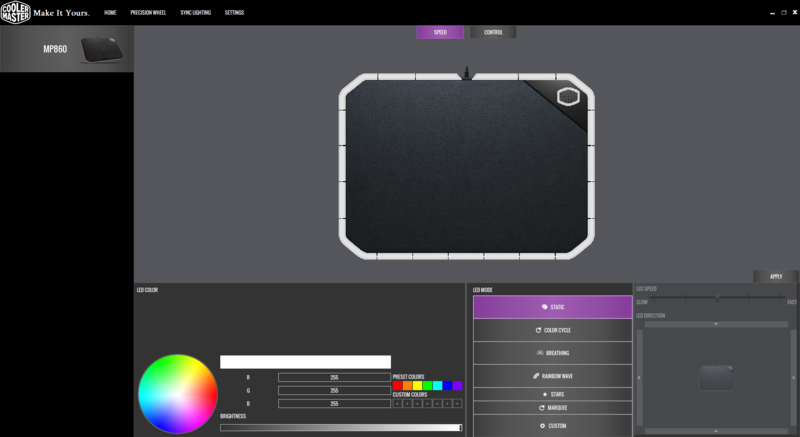 The software itself is intuitive and simple with a good amount of customization options. 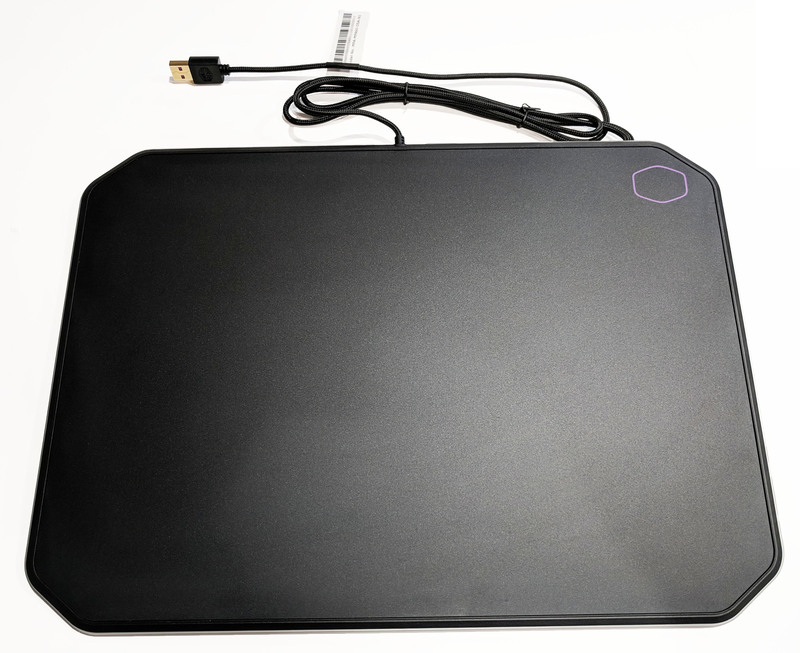 A representation of the mouse pad is displayed in the center with operational controls below. As effects or colors are changed in the software, the animation of the mouse pad representation changes and changes are pushed real-time to the device. 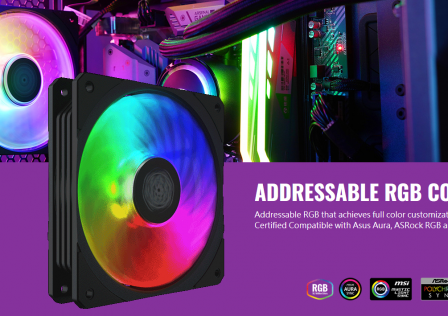 Options such as color can be changed and selected using the RGB color wheel or pre-selected colors. The LED mode operations are changed in the bottom center box. Effects such as LED speed and direction can be changed on the bottom right panel depending on the LED mode selected. For modes such as static, speed and direction options are grayed out obviously. Overall the software is easy to use and understand and includes everything you will need to get your Cooler Master MP860 up and running! 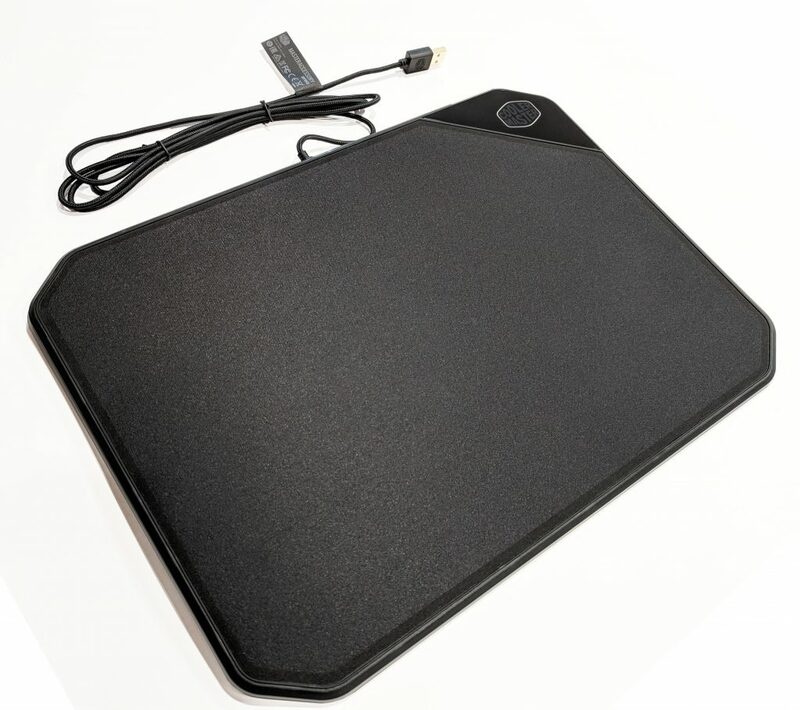 Keep in mind, while the software is not required, it is recommended to unlock all of the mouse pad’s many o features. 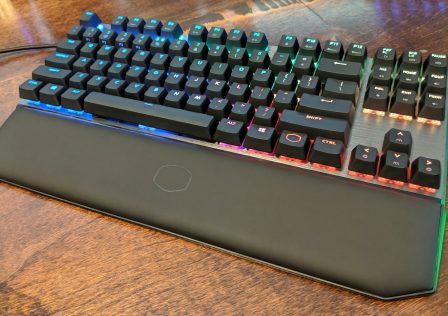 Unlike your typical gaming peripherals such as headsets mice and keyboards, “testing” a mouse pad is difficult because there’s a lot of preference built in that could affect the score one way for one user and another way for another. Fortunately the MasterAccessory MP860 alleviates some of that by equipping two very unique surfaces to the mouse pad. 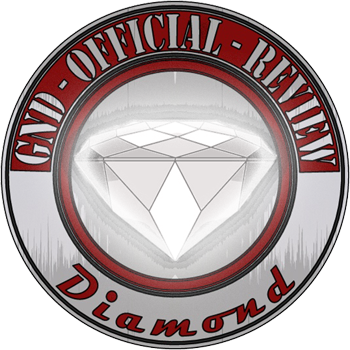 Normally we review products based on 4-5 categories due to their complexity. For this review we will be using only three. Scoring for the MP860 will be based off of only a few factors: Build Quality, Performance, and Functionality. 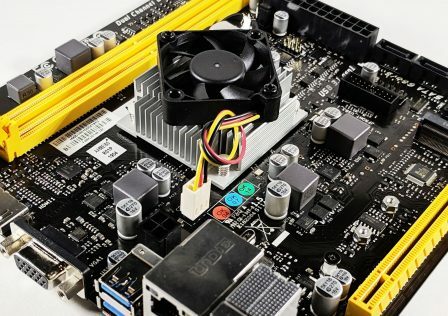 Build Quality: 9/10 – The overall quality ranging from the braided cable, to the mouse pad itself was overall very, very good. The pad felt solid, and even when handling it roughly by trying to bend or flex it, there was no plastic cracking sounds or hardly any flex. The MP860 had a nice weight to it as well which helped in keeping it planted when moving the mouse. 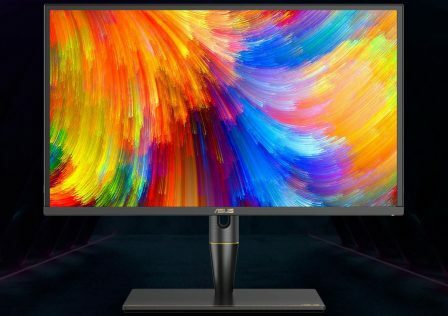 Performance: 9.3/10 – Performance is a tough category when rating a mouse pad because typically users need to to do one specific task, and do it well. Mouse movements over the cloth side felt very smooth and precise. Mouse movements over the aluminum side were a bit more resistant to change, however at least to me, I prefer the resistance as it allowed me to be slightly more accurate when FPS gaming. 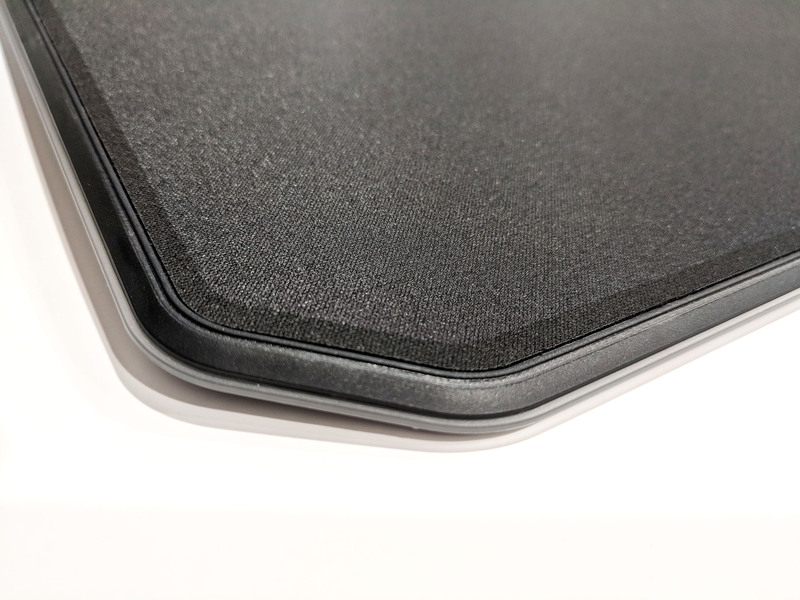 Functionality: 9/10 – As a mouse pad, the Cooler Master MP860 functioned quite well. 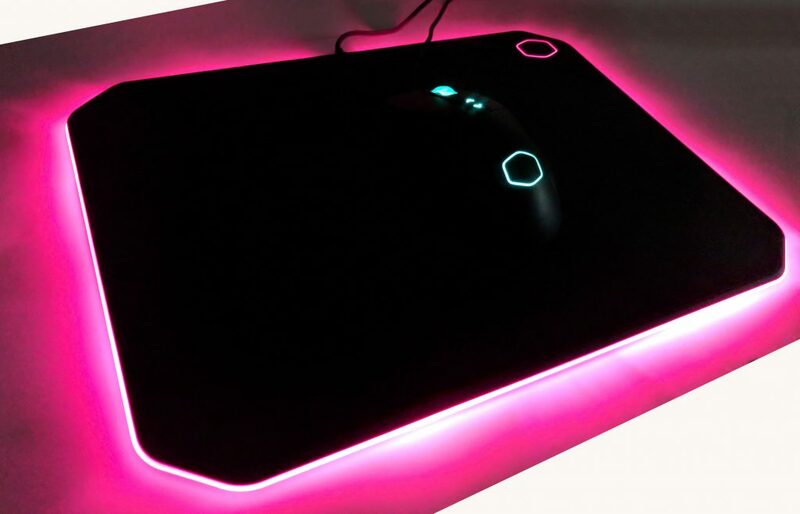 As an attractive LED Desktop accessory the mouse pad performed equally as well. 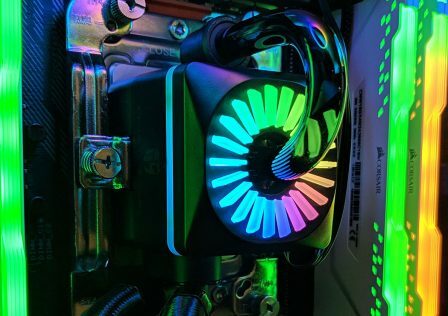 It really does it look amazing, especially in low light conditions, and adds a ton of personality to your battle station, especially when the LEDs are synced using Cooler Master’s control software. It will for sure be a conversation piece when friends come over or at any LAN party. 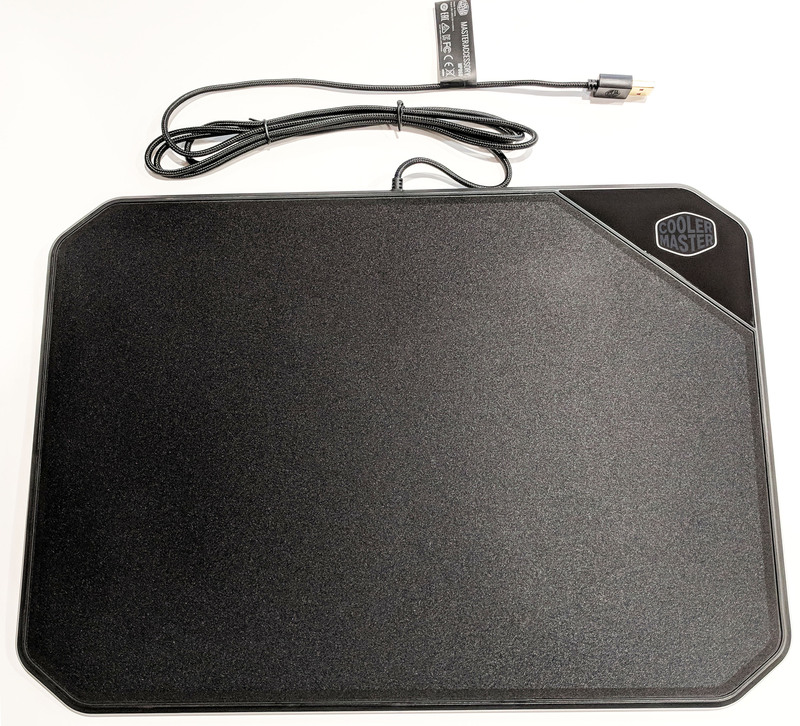 As a mouse pad, the Cooler Master MP860 functioned quite well. 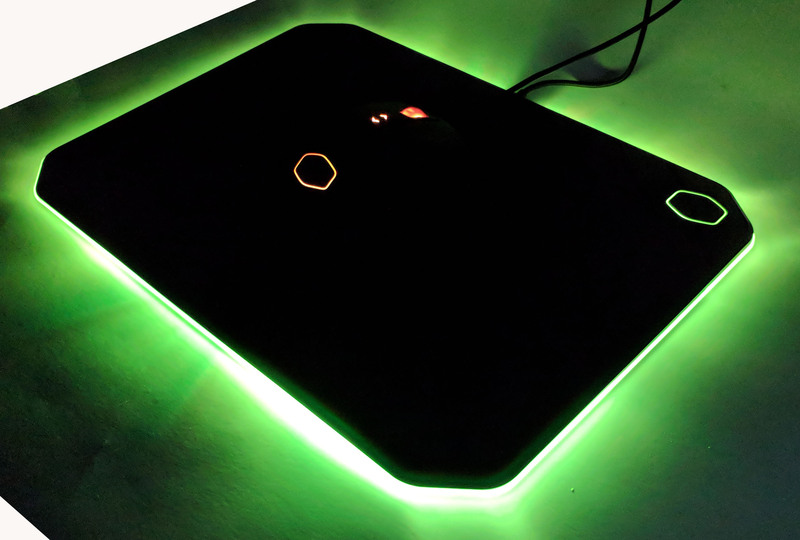 As an attractive LED Desktop accessory the mouse pad performed equally as well. It really does it look amazing, especially in low light conditions, and adds a ton of personality to your battle station!